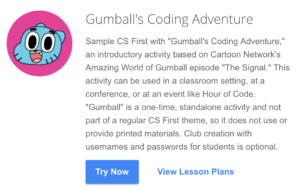 Google’s CS First program is an engaging way to get kids coding and exploring computer science. Teachers can form clubs for students starting in Grade 4, with no compu ter science background needed. The curriculum is completely free and Google will even send printed materials so you don’t have to use your precious copies! All of the concepts use video tutorials to guide students through the theme-based units. Meet the minimum requirements with students, computers & internet connection, and headphones. Set up the club online. Google sends materials and provides curriculum. You host the club at a school, library, church, or at home. Tracking your students’ progress is easy and the CS First dashboard allows you to manage the club. Students will be motivated by “pride pages” where they share their achievements. 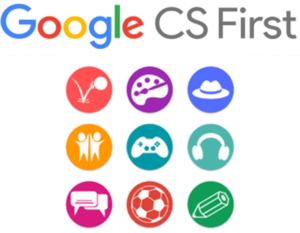 If you are interested in advocating for Google’s CS First program, you can email schools/teachers, send a flyer to a principal, or spread the word using social media. Themes include Storytelling, Fashion & Design, Sports, Music & Sound, Game Design, and Animation. Check out a sample lesson. Google also provides educator (teacher, parent, after school leader) online training. Nine of ten parents want their children to learn computer science, but only four of ten schools actually provide computer science curriculum to their students. You can help bring computer science into schools and even to your church, after school program, scouting program, or home school. Google Voice is a service that provides call forwarding and voicemail services, voice and text messaging. It’s perfect for educators because you can give out this number to your students and parents without compromising your personal phone number. Like most Google products, it is free. It gives you one number for all of your phones, and it tied to you rather than a device or a location. You can send text messages straight from your browser. You can opt to receive a transcribed voicemail via email rather than having to listen to it. You can screen calls and customize the caller experience with personalized greetings. It’s easy to block unwanted callers as well as make conference calls. You just need a Google account and a touchtone phone with a US number and a computer with internet access. 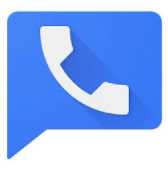 You can optionally download the Google Voice app on your Android or iOS device.